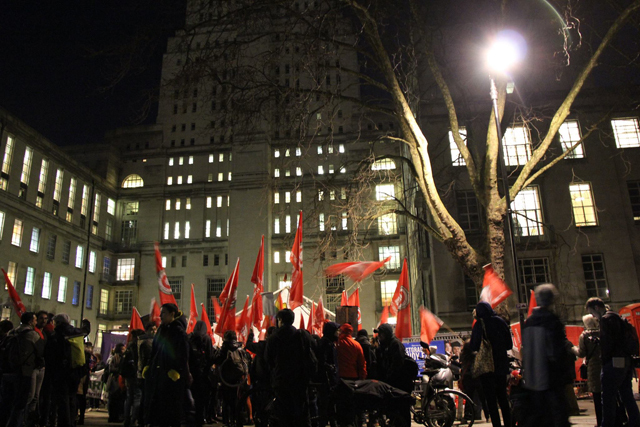 Outsourced workers, members of the IWGB, who are in dispute with the University had asked the organisers to move the venue in support of a boycott of Senate House and related central University buildings which is supported by Shadow Chancellor John McDonnell amongst many others. LSHG Convenor Dr Keith Flett said, Eric Hobsbawm was one of the great post-1945 Marxist historians whose work focused on the labouring poor and their struggles against capital. To hold a launch of a biography of his life and work at a location that is the subject of a boycott by outsourced workers is not something any socialist should feel comfortable with.